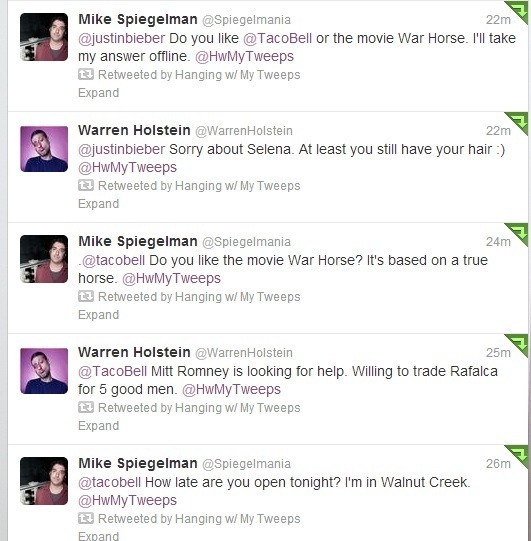 New York comedian @WarrenHolstein and San Francisco comic @spiegelmania live chat person-to-person then live tweet to corporations. Will corporations respond? Spoiler: no. Hanging With My Tweeps is a weekly video podcast that has Mike Spiegelman talk to people he follows on Twitter. Then they all tweet.